When you're a carb lover, there's nothing quite like the taste of fresh pasta. And in Pennsylvania, there's a little bit of everything to choose from—including almond tortellini, lobster ravioli, and classics like angel hair topped with nana's homemade meatballs. For the best pasta in the state, pull up a chair at one of these 10 places and dig in. High-quality local, seasonal, and specialty ingredients are the name of the game at Philadelphia's Vetri Cucina. Pastas like swiss chard gnocchi, almond tortellini, and fig caramelle adorn the menu, along with a several unique entrée, dessert, and antipasti dishes. Prepare to be delighted no matter what you order, but the ultimate Vetri experience lies in the tasting menu. The care put into each dish at Dolca Zola is evident in their presentation. Pasta dishes, cheese boards, and desserts all come out of the kitchen looking just as delectable as they taste. To ensure the high-quality and freshness of their pasta dishes, the Dolce Zola team makes all of its pasta and sauces from scratch in small batches every day. So, if there's something specific on the menu you're looking to try, show up early to be sure it's not sold out. Menus at Molinari's change based on the seasons and what ingredients are available at the time, so there's always going to be something new and exciting for you to try. At its current iteration, the pasta menu includes fascinating dishes such as rosemary linguine and carrot spaghetti—but just wait until you get to the restaurant, because you might be pleasantly surprised with something entirely different! When you're in need of an exceptional selection of classic Italian offerings (yes, including pasta! ), Cenacolo should be the first restaurant to come to mind. With a dinner menu featuring the likes of squid ink spaghetti, crab ravioli and classics like four-cheese ravioli, there's a pasta dish perfect for every palate in your party. When you come to Sarafino's, come expecting a variety of tasty meal choices. There are a few pasta specials to choose from—each more delectable than the last—and you can even come up with your own pasta dish if you're feeling creative. The combinations are nearly endless, so you can find a new favorite every visit. In one form or another, Gabriella Italian Restaurant has been open since 1997. Since its inception, the restaurant has been providing patrons with the best in savory Italian dishes and exciting, creative daily specials. They continue to do so today, only in a different location than the original restaurant. Taormina's provides fabulous food, a cozy atmosphere, and great service to top it all off. The restaurant's menu is vast and expansive, offering classic Italian dishes and new favorites too. And don't forget to try their original tomato pie. Non Solo Pasta features Southern Italian cuisine and always fresh, handmade pastas in both modern and original interpretations. Everything from cheese ravioli to pasta carbonara and bolognese is on the menu here—and that's not even the half of it! Pasta Fazool promises unique Italian food and is the perfect spot for both friends and family alike. Come hungry and order your favorite pasta dish, but don't forget to bring a bottle (or two) of wine to accompany your meal. And there's no need to worry about bottle charges here, because there are none! 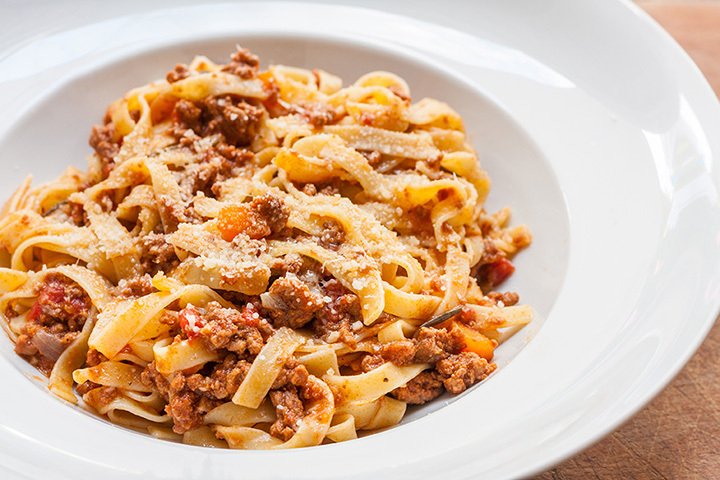 Nana's Pasta House has been serving up family-style goodness for over 30 years. While it's under new ownership now, it's still in the family, and the pasta specialties on the menu are as delicious as ever. We'd recommend the homemade angel hair pasta with the addition of homemade meatballs. It's a classic pasta dish that never disappoints.